Workshop Sensai: Jayant Trewn, Ph.D.
Jayant Trewn, ASQ Fellow, Ph.D.
Jayant Trewn is an Industrial Engineer specializing in Quality Systems design, development, implementation and management. Jayant has accumulated over a decade of experience working in healthcare organizations such as Spectrum Health Medical Group, Beaumont Hospitals, and service organizations such as Thomson Reuters and Lason Systems, where he built healthcare and service delivery process improvement programs based on lean, Six Sigma and PDCA concepts. He also worked for two years at Thomson Reuters working as Director of Quality Assurance, IP and Science division, managing the quality of acquisition of data for scientific research. Jayant has been teaching quality engineering since 1997 in his roles as Adjunct Professor at Lawrence Technological University, Wayne State University and Oakland University, all in Michigan, in addition to giving quality engineering talks, seminars and workshops at numerous national and international conferences. 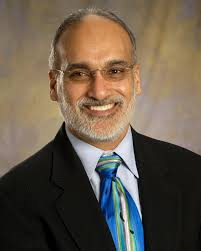 Jayant has also served as a Research Analyst for Wayne State University, Center for Urban Studies and Office of Strategic Planning from 1993 to 1999. Jayant has written two books, Practical Lean Sigma for Healthcare and Multivariate Statistical Methods in Quality Engineering and he has been published in international journals. Jayant is a Fellow of ASQ and he holds a Doctorate degree in Industrial Engineering from the College of Engineering, Wayne State University, Detroit, MI, USA. He earned his MBA in Information Systems at Wayne State University and his Bachelor of Engineering degree from Madras University, India. Connect with Jayant at LinkedIn.